Our guitar students were treated to an incredible performance and inspiring masterclass this month as award-winning, classical French guitarist, Gabriel Bianco made his Welsh debut. 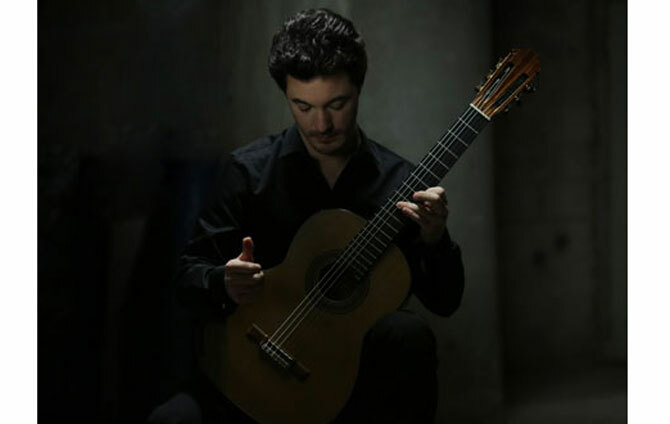 Since winning the prestigious Guitar Foundation of America competition in 2008, Gabriel has firmly established himself on the international concert stage as a soloist and chamber musician. The masterclass provided students with an opportunity to perform for Gabriel and receive his professional, practical advice. “Gabriel shared with us how he understands the repertoire and the pieces we chose to play for him, and how he assembles the parts of a piece and shapes melody lines.” explained Samuele.